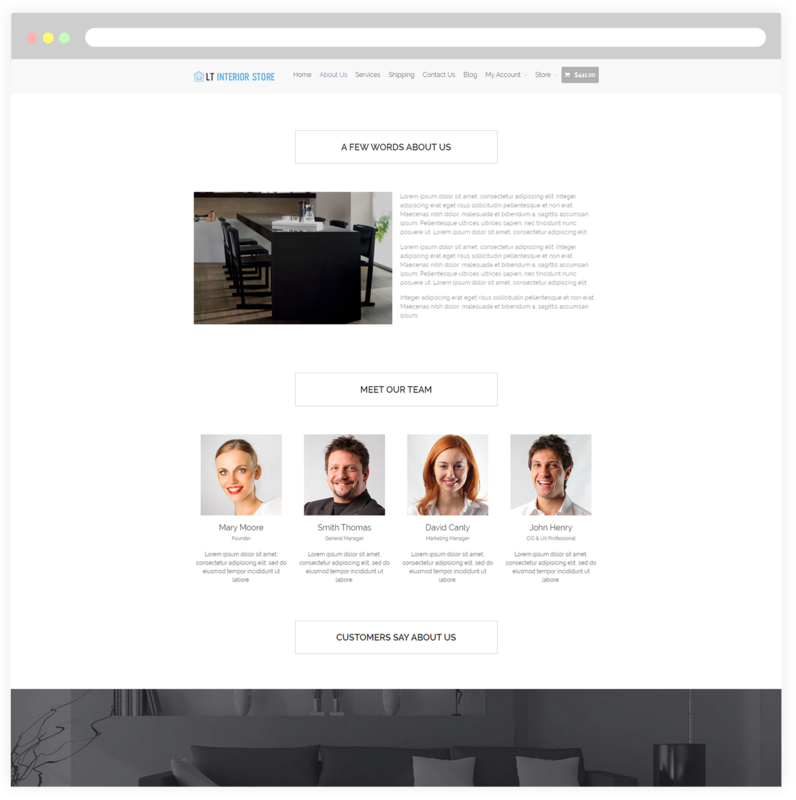 LT Interior Store is a premium WordPress theme with unique design that perfectly matched for Architecture and Interior Store websites. 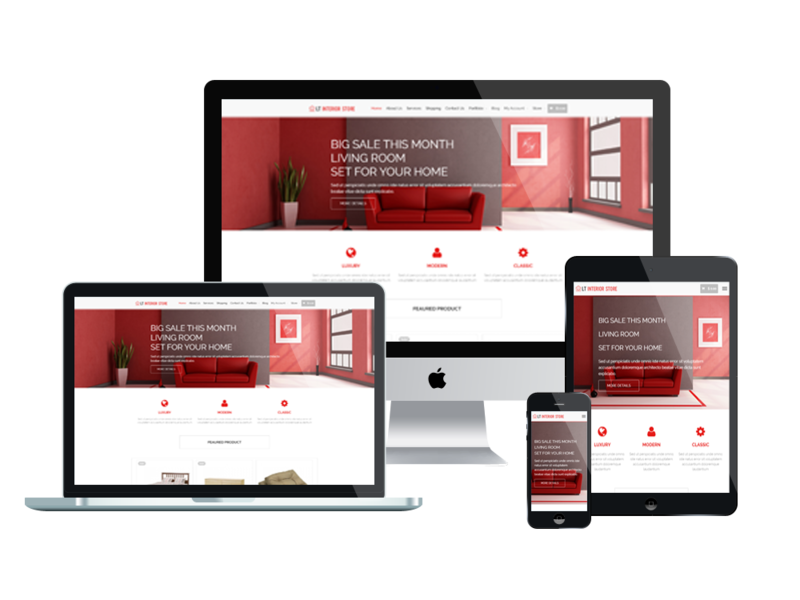 This theme has been designed in the best possible way to showcase and your interior store, besides, provide detailed information about the newest collections, prices, materials and models. 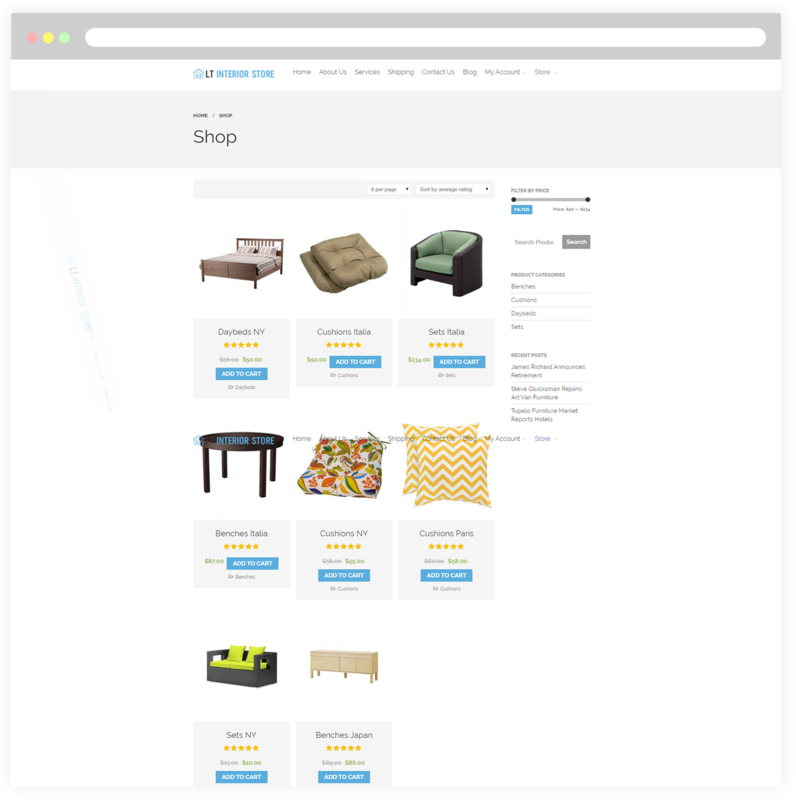 It also integrates with the popular ecommerce solution which is Woocommerce, it allows online customers to go shopping online comfortable at home and make payment without any effort. 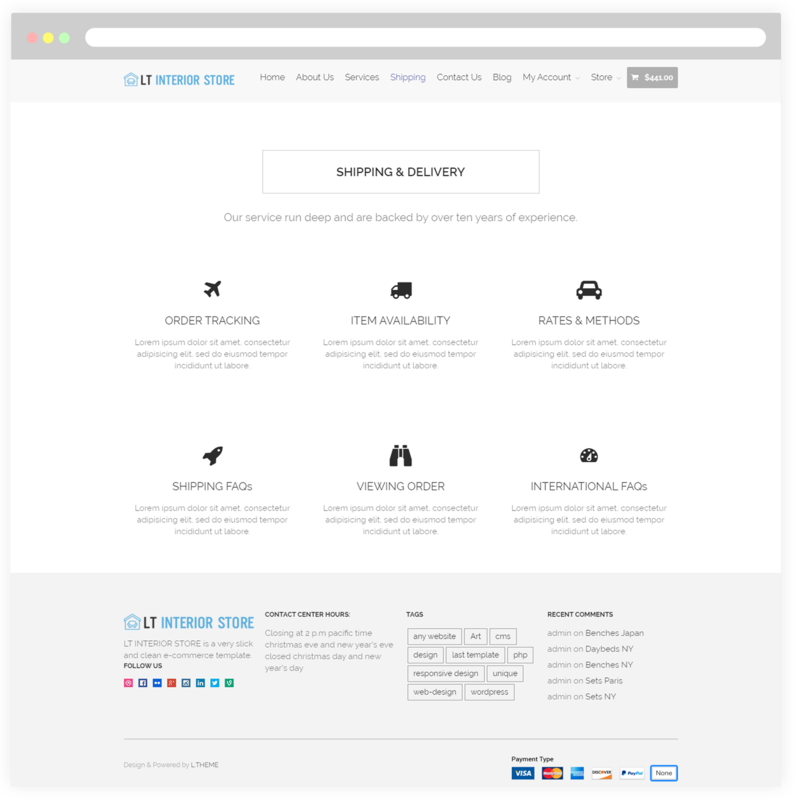 Besides, LT Interior Store based on strong framework with most modern web design technologies for WordPress to provide your site the best performance in the eyes of customers. 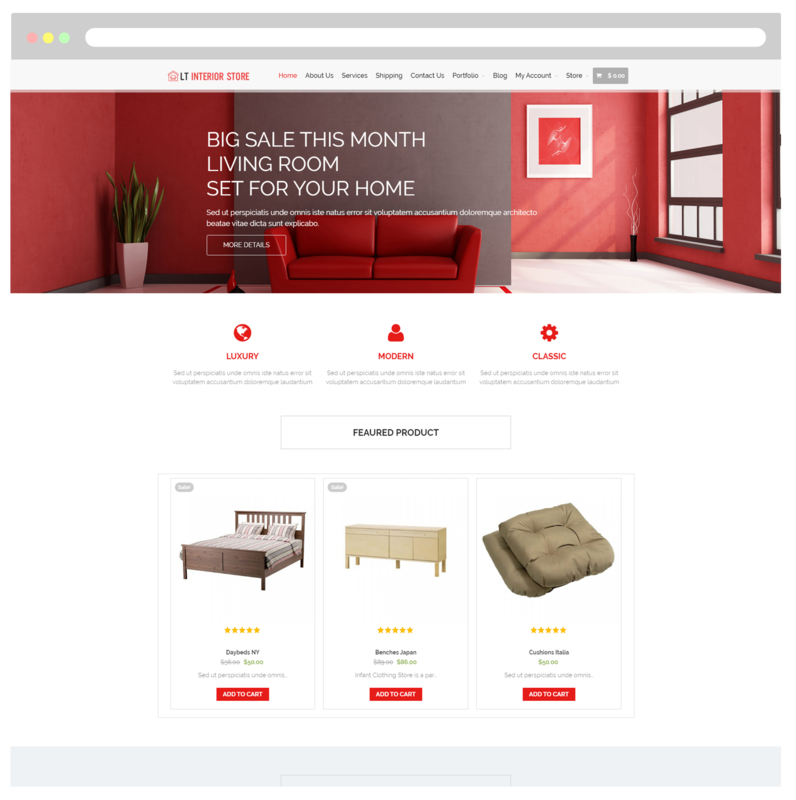 This is a good theme for you to start your online Interior store, go and take a look at Live Demo now! You want to introduce something about the development as well as the goals of your store. So through this site, it is easy for you to present your desire. 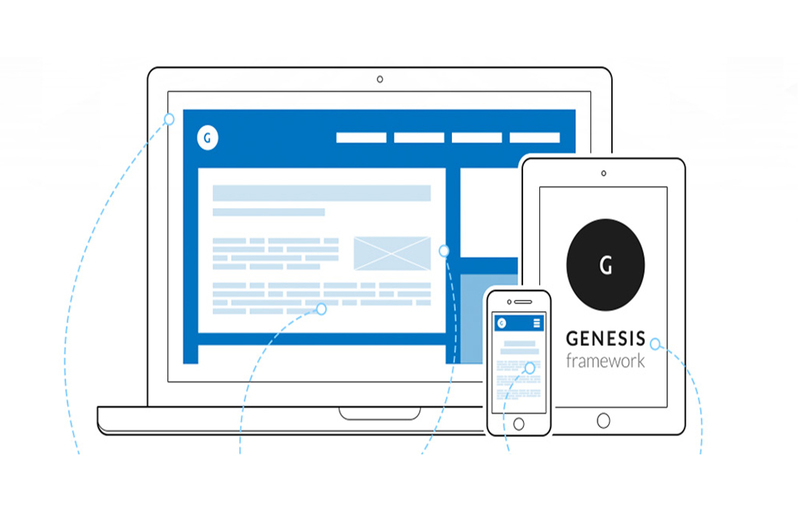 Besides, you also exhibit to all customers the development over the period to get a great store like today. 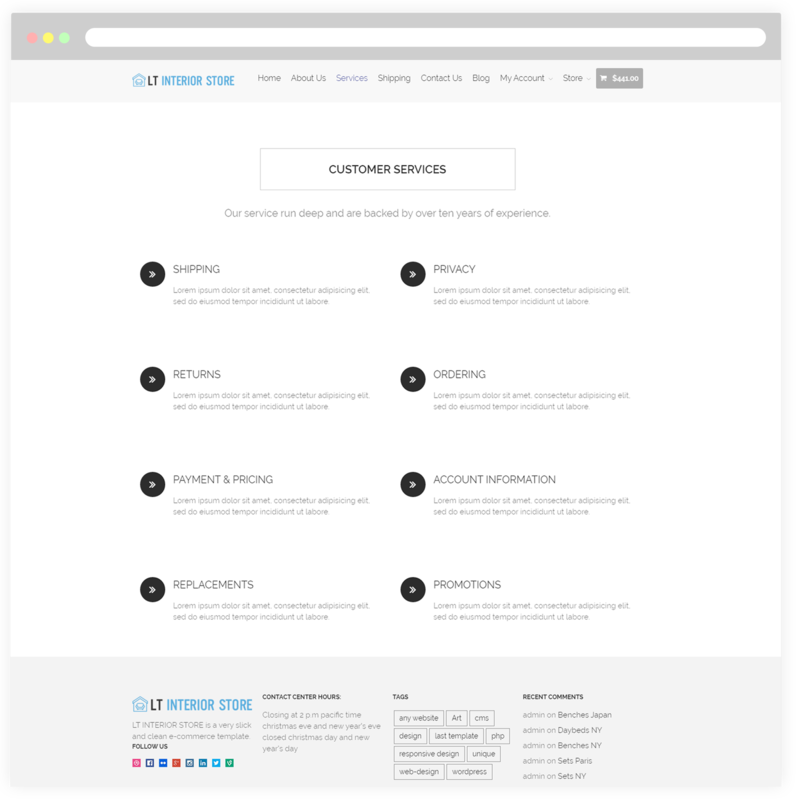 This page brings you to present the services of your store, so customers can learn and choose the best service package with ease. 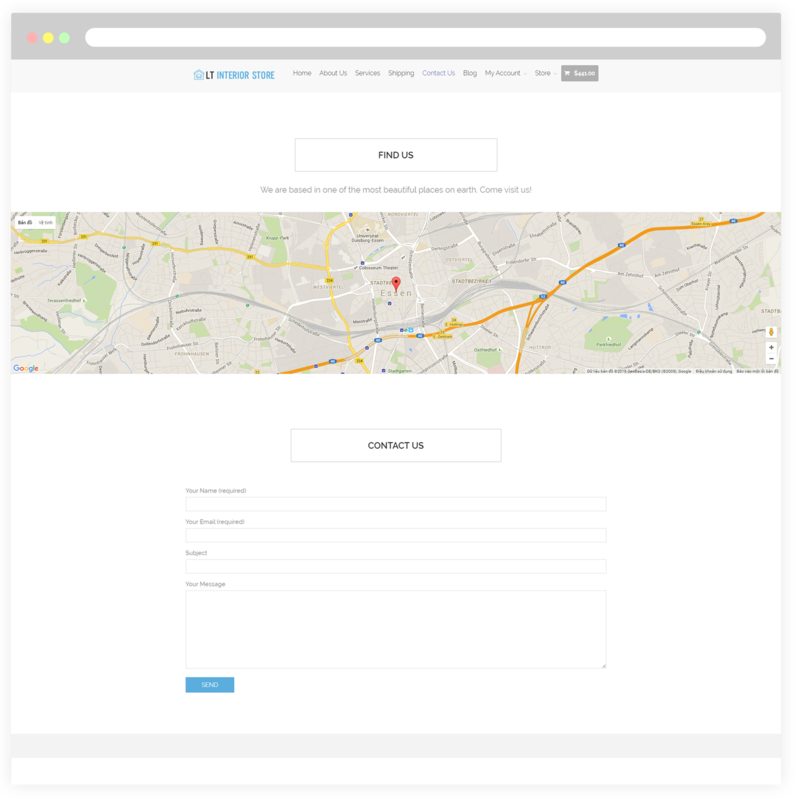 With this page, customers will easily find the location of your store through address or map. And based on displayed information on website, they can find your store’s phone number if they need to contact. 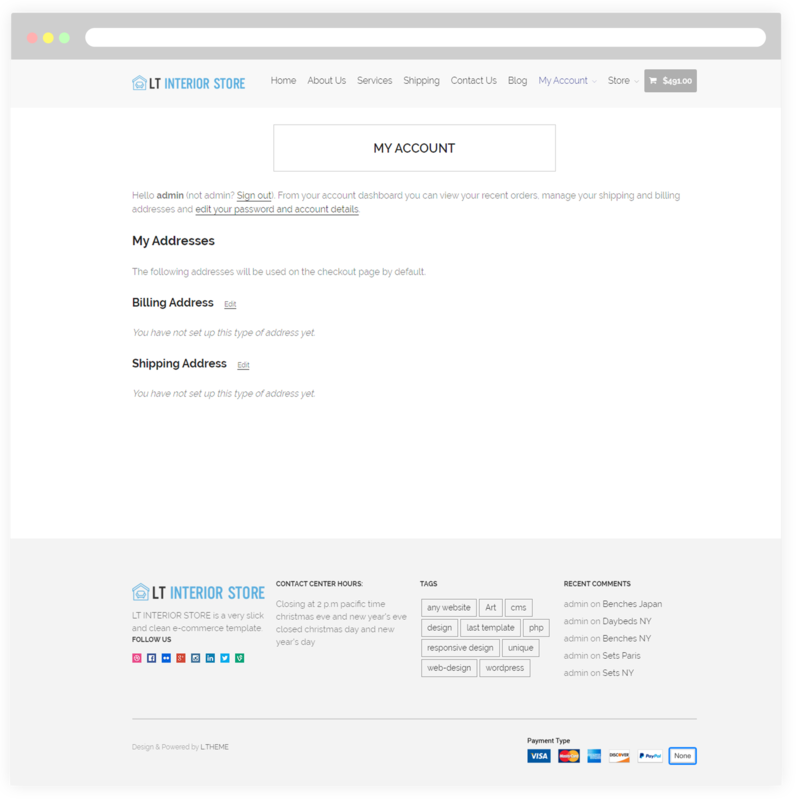 Moreover, they easily send feedback through mail to your store. 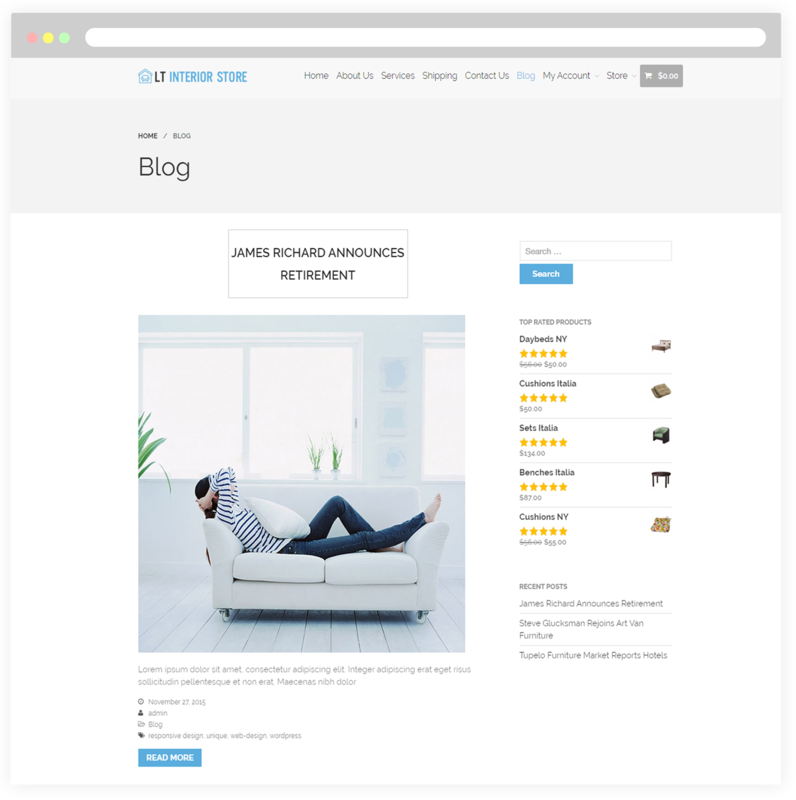 The store page is especially important to categorize kinds of different interior that are suitable for all cases such as Benches, Cushions, Daybeds or Sets… from your store.